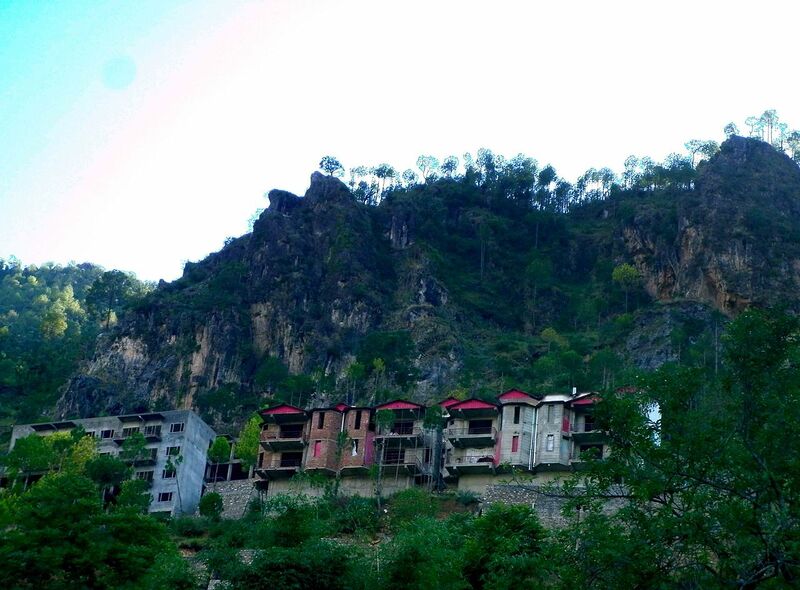 Solan – a beautiful hill town lies in the foothills of Outer Himalayas. Solan is covered by attractive mountains and Deodar forests on all the sides. Solan is also known by the name – “Mushroom city of India” as it is produced mushroom at the largest extent in India. This town is also crowned with the name of the city of red gold because it produces tomatoes in large amounts. The highest railway station in the world is the Solan railway station. Tourists can visit the Kasauli Brewery, which is the distillery and oldest brewery in Asia for scotch whiskey, on the boundaries of Solan. Solan is filled with various treasures stuffed into the dense territory – luscious wildlife, exciting but isolated landscapes, down to earth localities and delicious food. One of the most peculiar locations of Himachal Pradesh, Solan is concealed in the lap of nature. Solan is as beautiful as a picture. The top 15 best places to visit in Solan bring you an ideal atmosphere for a holiday that will be filled with rejuvenation, various picturesque views, and relaxation. Christ Church is simply one of the most appreciable places of the Solan town and is located in the stunning hill-town of Kasauli. Architecture admirers are mostly seen assembling to this pleasing church which was constructed approximately 180 years ago by a family of British that also established the Kasauli settlement. It is located 12 km away from the city center of Solan and is one of the superior tourist destinations of the region for people who want to see the Tibetan culture. Bon community is a sacred society older than the Buddhist movement and is mostly confused with Buddhism. The Nalagarh Palace has well maintained and manicured gardens that give a panoramic spectacle of the town below. This palace is situated at the top of a hill. Its huge structure decorates both Indian and Mughal styles of architecture. The Nalagarh Palace in Solan has experienced some great restoration work and has been changed into a heritage resort. Just an hour or less away from Solan, Kasauli is the calm and serene hill town. Kasauli is an ideal getaway from Solan with just the correct amount of hustle and bustle and down its Mall road, as this place is surrounded with hills and pine trees all around. You can also make a visit to Christ (Anglican) Church along with the Manki Top nearby. You can also get some thrill in Timber trail and a walk down its easy Mall Road here. For religious people, there is also a Gurudwara and a temple here. An excellent tourist place in Solan, Himachal Pradesh, is a blend of not only the picturesque charm of the Himalayas that you’d desire from this beautiful location but also a place that is pervaded in pre-colonial history and ancient myth. This is the destination having all around the magic of Himachal and also providing its own combination of wonder and uniqueness. This place really exists, and it is known as “Barog”. Barog is a small town in Solan city, located at a height of approximately 1560 m. If you are planning to visit Shimla during the months of monsoon and are looking for the camp, trek and visit closer places, Barog should be on your top list. This small town has a lot to give to those visiting that you can’t bear to miss the chance to hop on to a board and discover. Sirmour is the perfect place for you if you want to relax from the hustle bustle of the city and want to get away from some days and live between forests and hills. It is a tranquil and calm place where more than 90% of people still live in villages. Local people here are so close to nature and so, this location is not touched by industrialization yet. Sirmour provides visitors rocky hills to treks, elegantly constructed temples to calm your soul, peaceful lakes for boating, and quaint landscapes. Vacation is incomplete without shopping! So for fulfilling your needs and desires, Solan has provided you limitless options for your shopping spree. You can find various shopping complexes and malls here, like Platinum Mall, Anand Cineplex Mall, Aesthetics, and more. To spend some enjoyable and relaxed time in Solan, visit this well maintained yet simple park. Jawahar Park has rides, a baby train, stunning fountains, and a small zoo. You can also find some rabbits here also. If you are with your kids, then this is a perfect destination to spend some free time in Solan. Menri Monastery is one of the most colorful and beautiful places in Solan and it is one of the oldest monasteries in India. In the commercial city of Solan, you can give a visit to Menri monastery to enjoy spirituality, calmness, and Buddhism. Menri Monastery has a huge statue of Lord Shenrab Mibo. During the New Year’s Eve, this place is the center of color, vibrant and festivity when Bon Dances and Cham are performed here. This time would be one of the best times to visit the Menri Monastery. Known as hiker’s heaven, Chail, a small village is located at a height of 2250 m above sea level. Covered by mesmerizing and greenery spectacle from such a huge height, Chail is to provide a visitor a remarkable traveling happening to a visitor. Chail is prominent for housing the highest cricket and polo grounds of the world and has a grand resort located on 3 hilltops. Earlier, this was the summer capital of Patiala kings, but now this place has been changed into a tourist destination and a hotel. This is the exemplary place for visitors looking for a relaxed and calm holiday away from the hustling and bustling tourist places in the state. The Shoolini Mata Temple in Solan is devoted to Goddess Shoolini and is one of the holiest and oldest temples in the area. The Shoolini Mata Temple in Solan is devoted to Goddess Shoolini and is one of the holiest and oldest temples in the area. Every year in the month of June, this temple hosts an annual fair to celebrate with much vibrancy and grandeur. Kuthar Fort is one of the oldest historical a building throughout which is asserted to be approximately 800 years old. This fort is dispersed over a wide region and has several freshwater springs. You can even find more monuments like Gurkha Fort and more if you walk throughout this old structure. There is also a historical place in Solan to visit which incorporates Dagshai Jail Museum. This Museum is a previous British prison in which Mahatma Gandhi stayed of his own will for a whole day in support of the Irish Independence from the UK. After the Indian independence forms the British reign, Dagshai Jail is only the second jail to be changed to a museum. After Club Mahindra constructed a stunning resort in this relatively undiscovered hill town, Kandaghat, situated in the Solan city of Himachal Pradesh, captured the eye of visitors. This resort is a good getaway for travelers who are looking for a weekend of relaxation away from the hustle and bustle of the town, and a pleasant paradise far away from the number of tourists that head towards Himachal Pradesh. This peak is the dearest for trekkers who love to trek in the Shivaliks and is at the height of approximately 3650 m above sea level. This peak gets its name from how the hill shows to have silver bangles throughout over it on moonlight nights. From Barog, Choor Chandini Peak is at a distance of 72 km, hence, you have to first visit Solan from where you can reach the Nauradhar base. The duration and distance of the trek are about 2-5 hours and 15-16 km respectively. The trail leans to be misty so much during the months of monsoon, and hence the visibility drops down to a mere 2 m. When you’ll reach the top, one can check and visit the prominent Churdhar temple. You can even grab some snacks as there are some shops at the summit that are run by localities. So, you have gone through the top 15 best places to visit in Solan. With the perfect timing and great preparation of the holiday, the abundance of options is waiting for all sorts of travelers who are searching for top places to visit in Solan. Be it nature admirers, spiritual, history fanatics, adventurous or even luxury travelers, the town of Solan and its surroundings is properly proficient in providing you with a remarkable vacation experience.